The St. Mary’s County Commission for Women is looking for extraordinary and Inspiring Women in this community. The commission is now accepting nominations for Woman of the Year and Tomorrow’s Woman. These two awards recognize the county’s women who have made significant contributions to the St. Mary’s County region through their volunteer service. Nominees for the awards will be recognized during the Women’s History Month Banquet on Thursday, March 14, 2019, at the Southern Maryland Higher Education Center at 44219 Airport Road in California, Md. The recipient of the Woman of the Year award is a woman who displays leadership and commitment to the community, and who offers outstanding volunteer service to individual people or non-profit groups in the region. 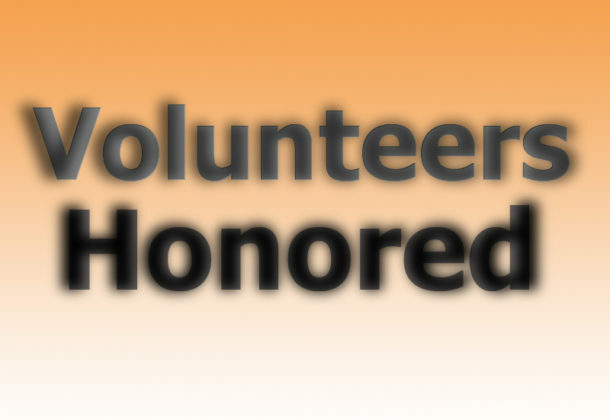 Nominees in previous years have included volunteers from local churches, hospitals, libraries, animal shelters, senior activity centers, the NAACP, and volunteer rescue squads. The Tomorrow’s Woman award celebrates young women who have already begun to make a difference in St. Mary’s County. The recipient of this award is a current high school student, in grades 9 through 12, who has made an impact in the community through leadership, voluntary advocacy, or service. The Commission for Women encourage families, individuals, charities, educators, and civic, community, and religious groups to recognize the efforts of the next generation by nominating a deserving candidate. Eligible nominations in either category must recognize women who currently live in St. Mary’s County and who have made a positive impact on the community by volunteering. The deadline for completed nominations forms is Friday, Feb. 1, 2019. Nomination forms are available online. You can also get a nomination form by emailing commissionforwomen@stmarysmd.com or by calling 301-475-4200, ext. *1680. The Commission for Women asks that nominating organizations or individuals purchase a reservation for their nominee. Nominating an exceptional woman is a wonderful way to honor her hard work and efforts before her family, friends, and the community. The St. Mary’s County Commission for Women is a committee run by volunteers who have been appointed by the St. Mary’s County commissioners. Its mission is to celebrate and support the area’s women through advocacy, outreach, and service, to secure an equitable community for all.